STEVE MARTINEZ catches JAY KRUPP with a straight right to the head on his way to a technical knockout win at Boardwalk Hall in Atlantic City. 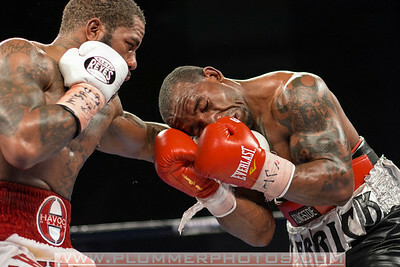 CONRAD CUMMINGS (green trunks) and DANTE MOORE battle in a middleweight bout at the Barclays Center in Brooklyn, New York. 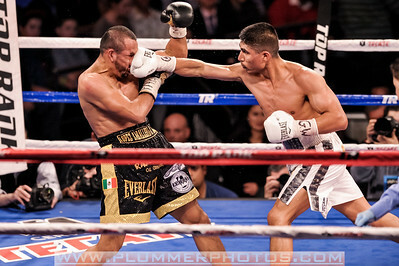 MIGUEL ANGEL GARCIA (white trunks) and ORLANDO SALIDO battle in a WBO World Featherweight Title bout at Madison Square Garden in New York City, New York. 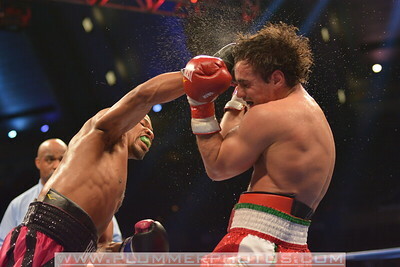 SHAWN PORTER (pink and black trunks) and PHIL LO GRECO battle in a junior middleweight bout at Boardwalk Hall in Atlantic City, New Jersey. 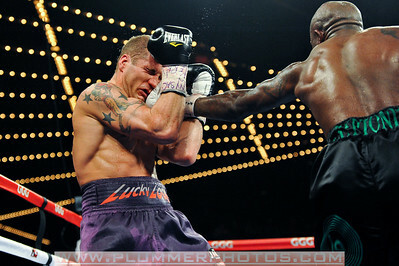 BRYANT JENNINGS (blue and red trunks) and ARTUR SZPILKA battle in a heavyweight bout at Madison Square Garden in New York City, New York. 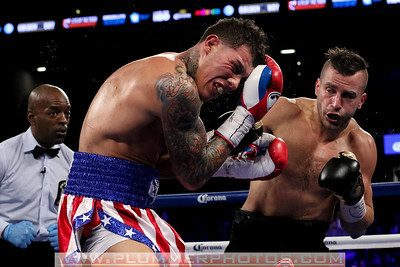 DAVID LEMIEUX (black trunks) and GABRIEL ROSADO battle in a NABF middleweight title bout at the Barclays Center in Brooklyn, New York. 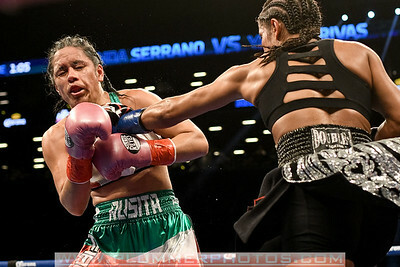 AMANDA SERRANO (black and silver trunks) and YAZMIN RIVAS battle in a female junior featherweight title bout at the Barclays Center in Brooklyn, New York. 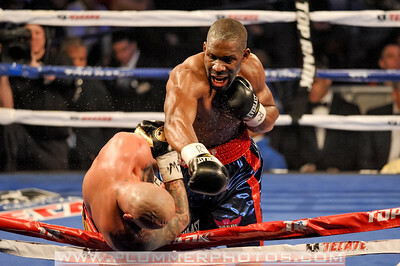 OLA AFOLABI (black trunks) and LUKASZ JANIK battle in a IBO Cruiserweight world championship bout at Madison Square Garden in New York City, New York. 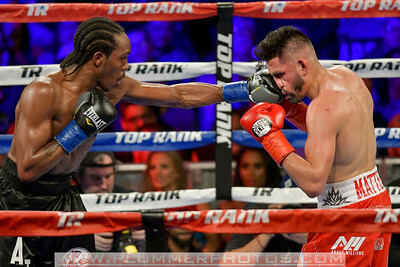 JOSE PEDRAZA (silver, red, and blue trunks) and GERVONTA DAVIS battle in a junior lightweight championship bout at the Barclays Center in Brooklyn, New York. GABRIEL ROSADO (blue and white trunks) and GENNADY GOLOVKIN battle in a WBA and IBO World Middleweight Title bout at Madison Square Garden in New York City, New York. GENNADY GOLOVKIN celebrates after defeating Curtis Stevens in a middleweight championship bout at Madison Square Garden in New York City, New York. 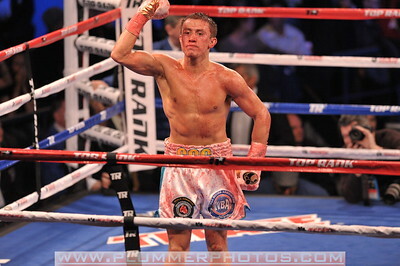 Golovkin won by TKO and remains the WBA and IBO middleweight champion. 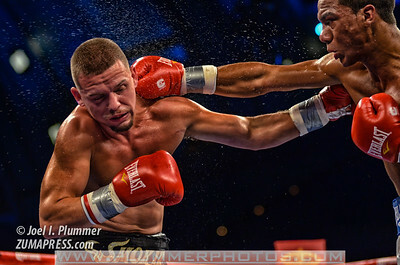 AMIR IMAM and JOSE RAMIREZ (red and white trunks) battle in a WBC Super Lightweight Interim World Championship bout at Madison Square Garden. 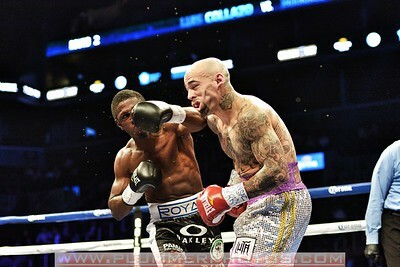 CHORDALE BOOKER and MALCOLM MCALLISTER (yellow and blue trunks) battle in a super welterweight bout at the Barclays Center in Brooklyn, New York. ERISLANDY LARA (red, white, and blue trunks) and TERRELL GAUSHA battle in a Super WBA/IBO Super Welterweight World Championship bout at the Barclays Center in Brooklyn, New York. 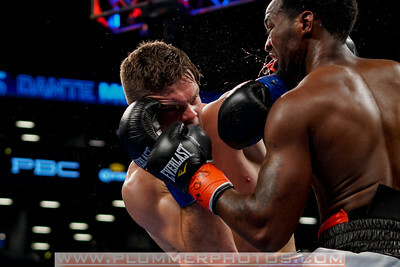 JACK CULKAY (black and red trunks) and MACIEJ SULECKI battle in a super welterweight bout at the Prudential Center in Newark, New Jersey.